Roma are reportedly one of many clubs keeping tabs on Spain international Pablo Sarabia. According to the football transfer rumours in Spanish media, Roma are set to sign Sevilla midfielder Pablo Sarabia. The Spain international was signed by Sevilla in July 2016 from Getafe for a fee of 1 million euros. The 26-year-old has a contract until 2020 with the club. This season, Sarabia has scored 21 goals and provided 14 assists in 47 appearances for Sevilla. He is 26-year-old and has his peak years ahead. Pablo Sarabia has represented Spain at Under-16, Under-17, Under-18, Under-19 and Under-21 level, winning 64 caps and scoring 19 goals. The Spain international has impressed in La Liga this season and is starting to attract the interest of bigger clubs. 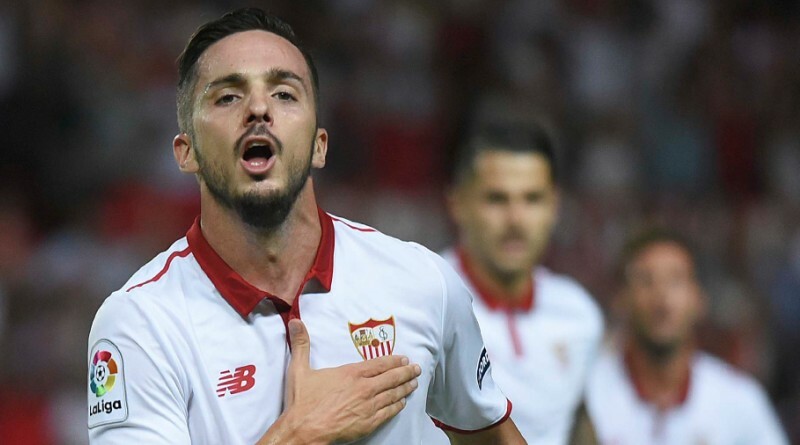 Roma shortlist Sarabia as transfer target this summer. They are in the market for just a handful of statement signings who can improve the first-team. The 26-year-old is certainly a player that would strengthen the current Roma squad and would be a good buy in the summer transfer window. Roma fans would certainly love to see him arrive at the club.